Get started with VoIPstudio, here's how to set up a new account. Get started with VoIPstudio, learn how to make your first call. Take a tour of the VoIPstudio admin dashboard. Take a quick tour through VoIPstudio's multi-featured reception console. Take a guided tour of the VoIPstudio interface to better understand the portal layout and basic functionality. Learn how to receive text notifications of voicemail messages using VoIPstudio's "speech to text" functionality. Learn how to add a new inbound number for your organisation on VoIPstudio. Learn how to create an IVR menu to better handle incoming calls. Learn how to automatically distribute incoming calls to selected agents using VoIPstudio. 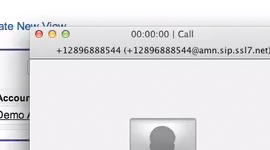 Create a pick up group to handle incoming calls on VoIPstudio. Learn how to set up and configure music on hold using VoIPstudio. Learn how to customise VoIPstudio's reception console with the layout tool. Learn how to find and use the call detail report in VoIPstudio. Learn how to add a contact to your personal contact directory. Learn how to set up and retrieve voicemail using VoIPstudio. Learn how to conduct conference calls with unlimited participants using VoIPstudio. Learn how to set up a new user from the VoIPstudio admin panel. Learn how to transfer calls between parties with VoIPstudio's easy, intuitive interface. Learn how to take your calls with you using VoIPstudio's "Follow me" feature. Learn how to configure call recording options and retrieve and play recorded calls using VoIPstudio. This tutorial shows how to set up Salesforce Open CTI Call Centre with VoIPstudio cloud PBX service. 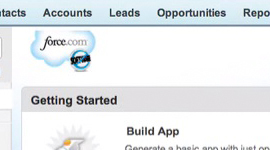 This video shows how to make calls using click to call feature and receive incoming calls into Salesforce Open CTI module integrated with VoIPstudio business telephone system. VoIPstudio Oracle Sales Cloud connector allows for Computer Telephony Integration (CTI) of CRM activities which greatly improves productivity and customer experience. The connector can be used for both outbound (click to call) and inbound connections (incoming caller screening).